The Region of Basilicata borders Calabria and Puglia. It is an ideal place to visit for those who want to experience something unique in Italy. Much of it is unspoilt with its many forests and mountains dotted with beautiful villages many of which are high up offering pristine air and peace and tranquility. The region is mostly interior but there are the two coasts which touch the Ionian and Tyrrhenian seas. There are two resorts on the Ionic coast; Metaponto and Policoro. Here you will find beautiful wide beaches and fragrant eucalyptus trees. The Tyrrhenian coast is more dramatic with steep cliffs and small beaches. Why choose Road to Italy? Just pack your bags. Everything will be organized for you. Hotels, transfers, guides, drivers, tickets, tours, etc. Connect with designers of exclusive tours who will work with you to create the best custom Italy itinerary that meets your requirements. Enjoy English speaking guides and drivers. They will make your experience easy and unique during your trip. 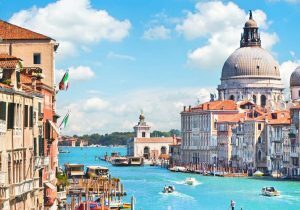 Purchase luxury or value tours designed by our carefully selected partners who offer private Italy tours that will fit all budgets. No need to line up at any museum or historical site. Afterall, you did earn your dream vacation. The region’s most famous feature are the Paleolithic settlements of Matera known as the “Sassi”. This area is part of the UNESCO World Heritage list. In the old part of the town of Matera called Civita, you are transported back in time as you walk through an ancient town with a network of caves that were created by shepherds. Here you will find churches, homes and unique hotels carved into the rocks. This amazing site was used as the setting for the film “The Passion of Christ” as it resembles old Jerusalem. Thousands of tourists come here every year to experience this wonderful town. Call for a no-obligation, personal consultation to create worry-free Italian vacation packages of your dream. If you do not find what you are looking for on our list, we can make further arrangements. Copyright 2019 © Road to Italy | All rights reserved | CALL US ON 1-800-848-8163 for a no-obligation, personal consultation to create worry-free Italian vacation packages of your dream. If you do not find what you are looking for on our list, we can make further arrangements. Please join our family of travelers to continue receiving great surprises.